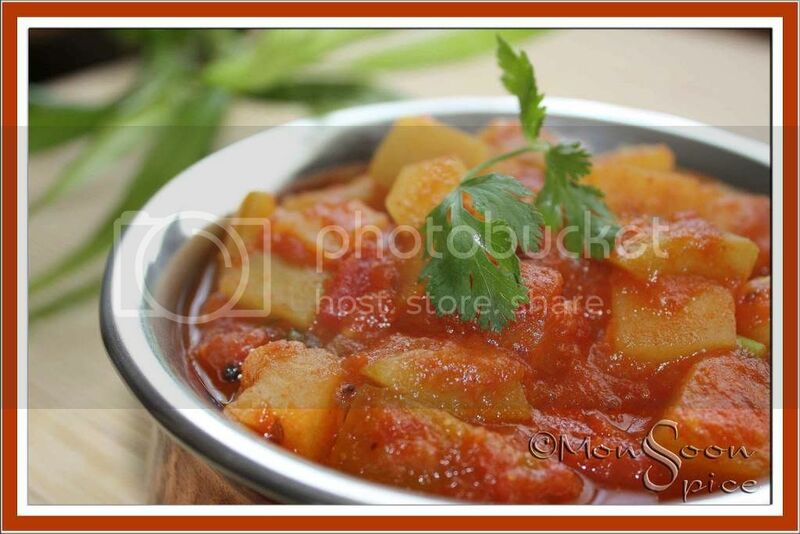 Monsoon Spice | Unveil the Magic of Spices...: Dudhi-Aloo Masala: What's Your Favourite? Well, these were the vegetables which ruled our kitchen in the past few months. As I have a short span of memory, I can’t think beyond 6 months as which vegetables played centre role in everyday cooking. You see there is nothing normal in our household, ahem, except us if we can say so;) If we are to fall hard for particular vegetable, we end up cooking it almost day and night till we are tired of it. This obsession of our lasts at the maximum for 2 months and then again we fall in love with some other vegetable and the saga continues. Our latest obsession is Bottle Gourd and poor gourd is undergoing various operations in our lab, err, kitchen for the past 2 months. Curry, stuffed, fried, chutney, dessert etc etc… you name it and we have tried them all and we are still in love with this unpretentious squash. What I love about this veggie is the way in which it simply compliments and blends with any other vegetable or lentils or spices and yet leaves lasting impression on your taste buds. This time I decided to pair Dudhi with very much loved Tuber and cook in very delicious tomato gravy. Not wanting to cook with usual Garam Masala, I opted for Sambar Powder giving it a Southern Indian make-over. And it turned out to be one of the most delicious curries I have ever made. I chose to cook it in a pressure cooker to save energy as well as time and within no time this curry was ready to serve with Chapatti out from freezer. Make it in a large quantity as it tastes best on the next day when all the flavours blend well. Cook it little or more but cook for sure as this is one simple yet delicious treat which sure to please you and your loved ones. Off this goes to Lore’s Original Recipe event where she invites the bloggers to send your own creations. Heat oil in a pressure cooker and add mustard seeds. When it starts to pop and splutter add cumin seeds, dry red chilli, hing and curry leaves. Sauté on medium flame till jeera turns light brown. Now add finely chopped onion, ginger and garlic and sauté till onion turns light golden brown, about 3 mins. Mix in sambar powder and sauté it for 30 seconds. Add chopped tomatoes and cook till it turns pulpy, about 3 mins. Add 3-4 cups of water, turmeric powder, jaggery, chilli powder and tamarind paste. Increase the heat and bring the water to boil, about 3 minutes. 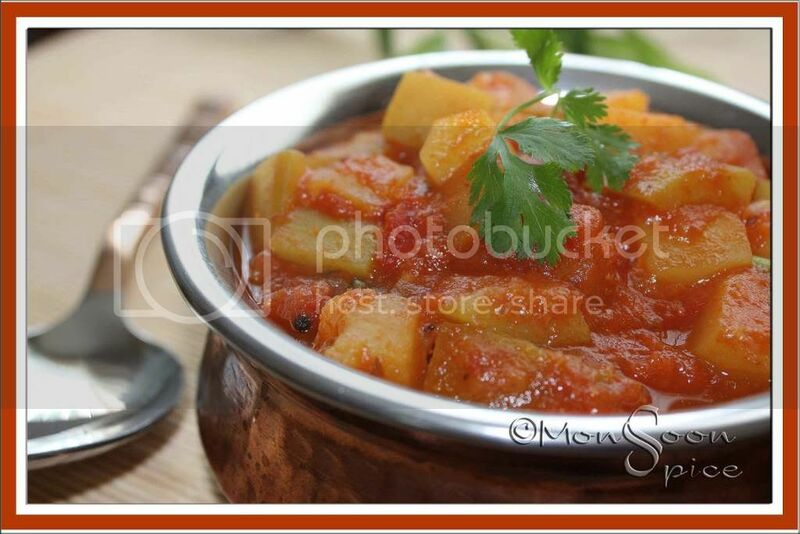 Mix in cubed potatoes and bottle gourd and reduce the heat to medium. Cover and cook for about 12-15 minutes or 2 whistles till the vegetables are cooked to tender. Once the pressure is released, open the lid and mix in finely chopped coriander leaves. Serve it hot with Poori, Chapatti or steamed Rice and enjoy. It tastes better the next day. 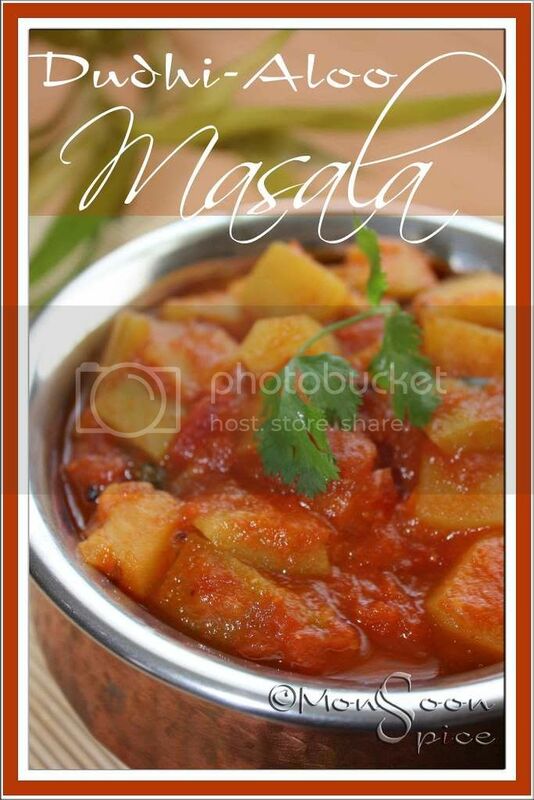 Substitute Sambar Powder with 1- 1½ tsp Garam Masala for different flavour. Same way, you can also substitute Tamarind with Amchur/Dry Mango Powder. Replace Bottle Gourd with Zucchini/Courgette or Yellow Cucumber or any other Squash for different taste. If you don’t have a pressure cooker, make sure that you use cooked potatoes instead of directly adding raw one as cooked ones will reduce the time in cooking. And also make sure you chop the vegetables to bite sized pieces for fast cooking. This curry tastes superb the next day. So make sure you have cooked enough to have it on next day. your pics are so huge and nice that i just want to grab a spoon and take some! really! Never tried out this combo. Recipe looks spicy and awesome. This is interesting. I would have thought 12-15 minutes would have mashed the gourd to oblivion but it seems to have held its own against the potato! It looks lovely. Mouth-drooling recipe.Love the colour.Will try it. LOL, that is really funy Nags. how abt trying it with that sambar powder u just posted? Vegetebale platter, i love brinjal but in my case my hubby is allergic to brinjals. so i cook them for myself when i am in mood to cook 2 different dishes. u can simply skip dudhi and use aloo or replace dudhi with courgetts/zucchini if u like. it depnds on how big the pieces are. here i have cut them into large chunks and this they hold their shape very well. try it Sra. i cook most of the curries in good quantity so that it lasts for one or two more days. and yup, when the flavours blend well it tastes yummo. give it a try sometime Alka. never tried this combination sia, nice recipe.. lovely picture. i dont like dudhi though!! That looks delicious, Sups...haven't had 'paani lau' -that's what we call 'dudhi' ;-)- for ages. By the way, adding spud is great way to love the dudhi curry, nice twist of sambar powder too! 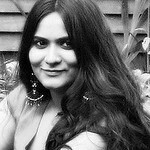 Hi Sia,I am Sweatha of Curryleaf and have just posted your Bihari Thali for Tried & Tasted Event.Thanks for sharing the recipes. Hi Sia, I tried your Sweet Chilli-Lime Tofu and I must say that this is the best tofu dish I have had. We just finished having it for dinner. Thanks for such a lip smacking recipe. replace dudhi with courgette Priya and or simply skip dudhi and add more potatoes. paani lau, that sounds interesting. and does paani means water in assamese Suni? i am so glad u loved the recipes Curry Leaf and i must congratulate on creating such a fab thaali. Looks great! I'm this big "new vegetable" thing so Dudhi is next on my list. I made your doodhi-aloo masala today and really liked it. It tastes great with Phulka roti. Great recipe, thanks!